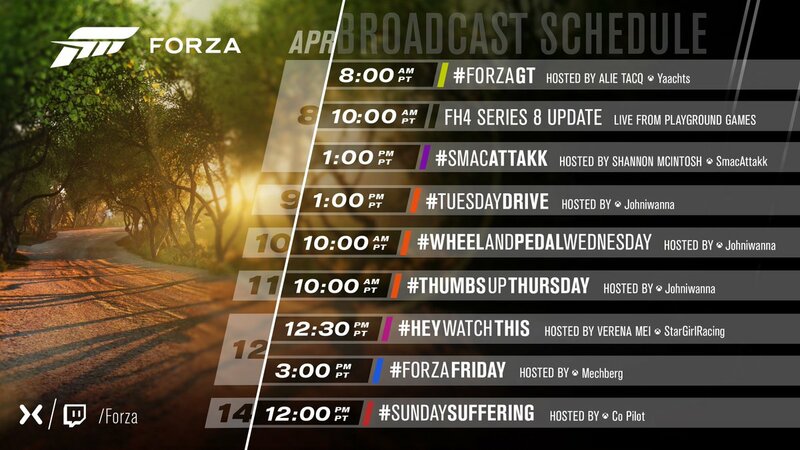 Welcome to another edition of the Forza Week in Review, where we’re coming off the back of a huge episode of Forza Monthly. Airing this past Monday, the April episode welcomed special guests from both Turn 10 and Playground Games, as well as professional drift driver, Formula D competitor, and Nürburgring drift-conqueror Vaughn Gittin Jr. to the show. "On Monday we launched Forza Street, a new expression of Forza available on Windows 10 devices and coming to iOS and Android. For more on the game, check out the segment on Monday’s episode of Forza Monthly where I sat down with the Forza Street design director Andy Beaudoin to talk about the game. (Fast forward to the 56:00 mark to see the conversation.) Forza Street was created to welcome a new audience of players and has been developed as a Forza product from the very beginning by Turn 10 alongside an external partner. In 2018, the game was released in limited regions for early testing and feedback under the code name of “Miami Street” prior to its global launch. To keep up to date with the latest Forza Street news, you can follow the Forza Street Facebook page." "On today’s episode of #ForzaFriday I’ll be joined today by Chase Combs from the Turn 10 audio team. 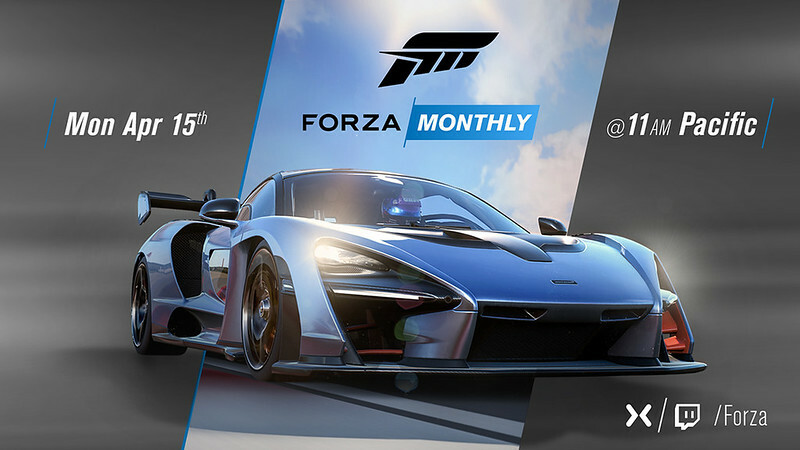 Chase was on Monday’s Forza Monthly this week to talk about the audio improvements that were part of the April update for Forza Motorsport 7 and, during today’s show, we’ll dive deeper into those improvements and talk about Chase’s career in the gaming industry and here at Turn 10. The show begins at 3 p.m. Pacific on our Mixer and Twitch channels, so don’t miss it." 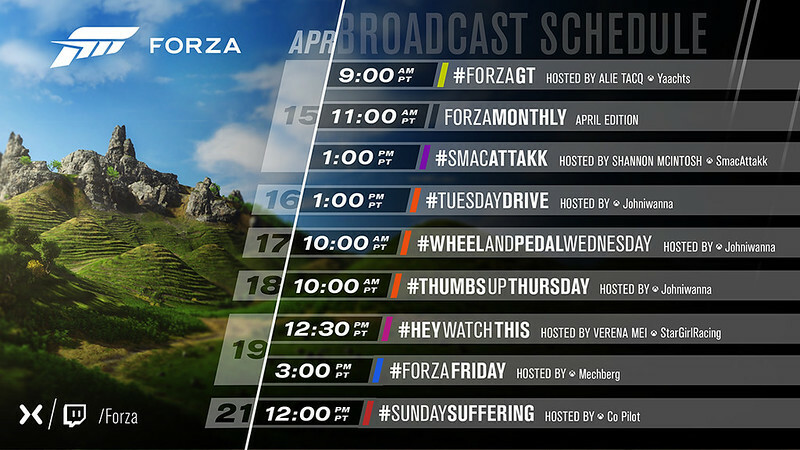 "Wrapping up the week, here’s a look at the streams coming to the Forza channels next week. See you then!"